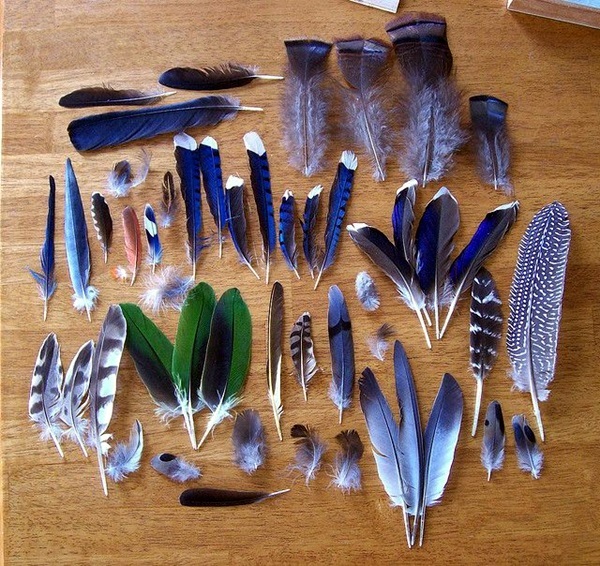 Do you have a nice hobby to keep you occupied? 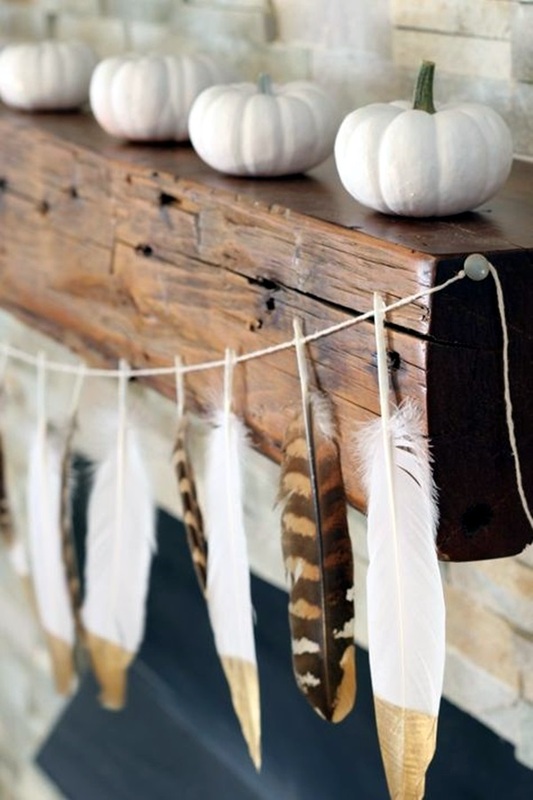 It is a sad thing to see that many young ones today do not have any hobbies beyond those involving computing devices. 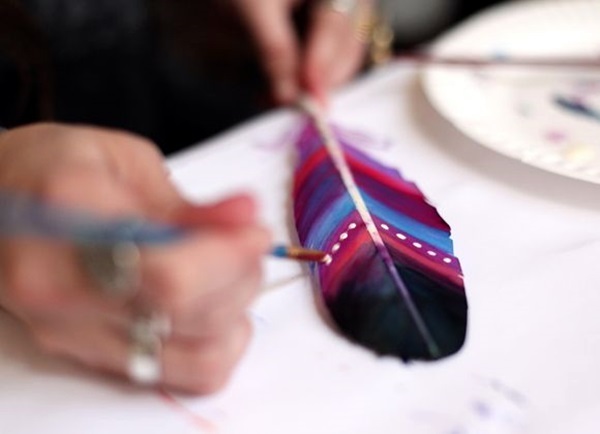 A hobby can be a great outlet for people no matter what their age or gender or occupation. 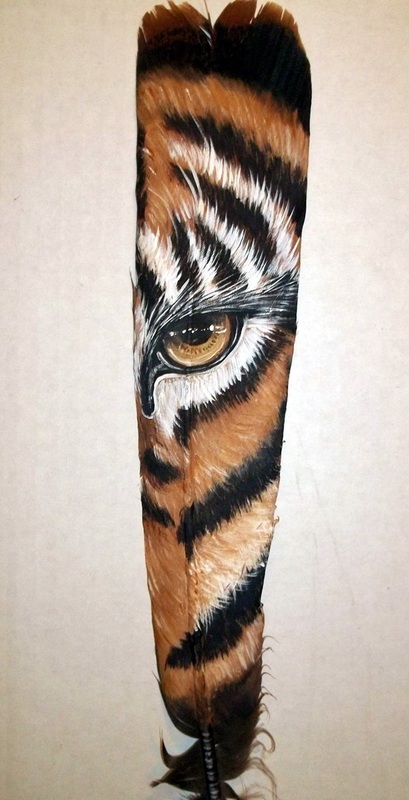 This is because having a hobby makes you think creatively and use your imagination to the maximum extent possible. 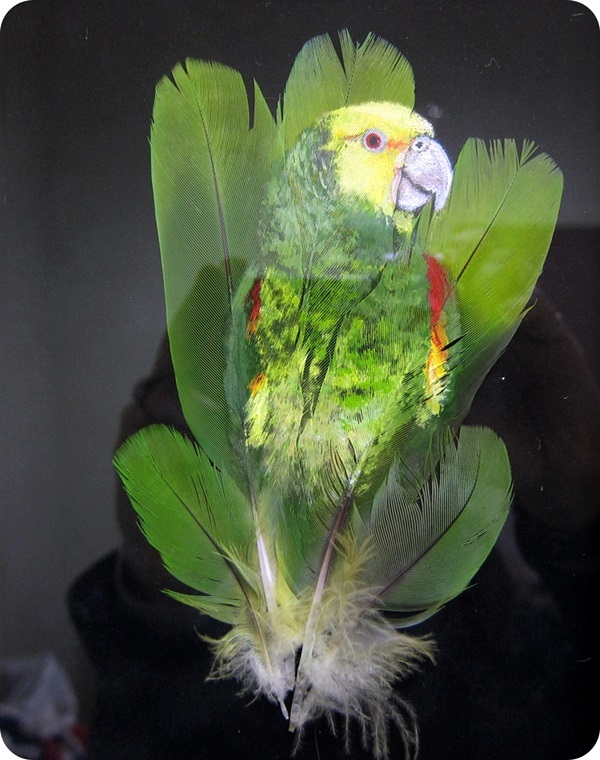 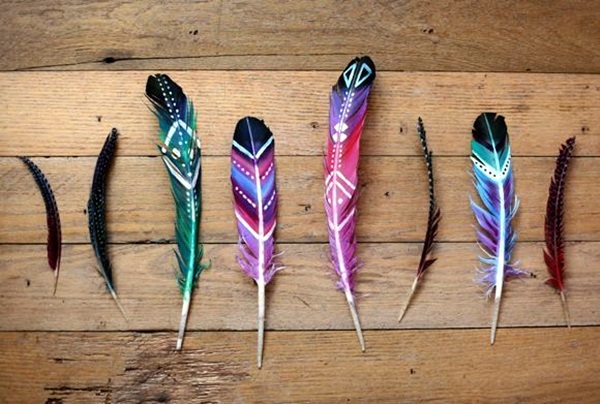 Or else, how do you explain doing something as amazing as painting feathers and putting them to good use? 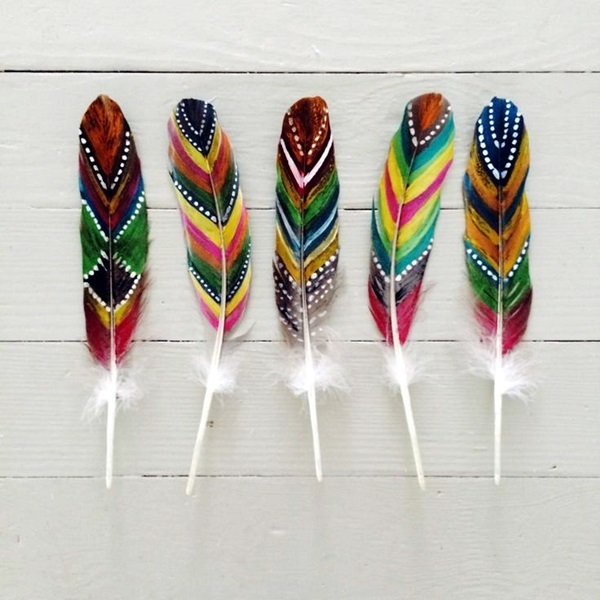 We are sure that having a hobby that involves creating painted feathers must come in handy when you are working on magical boho home decoration ideas. 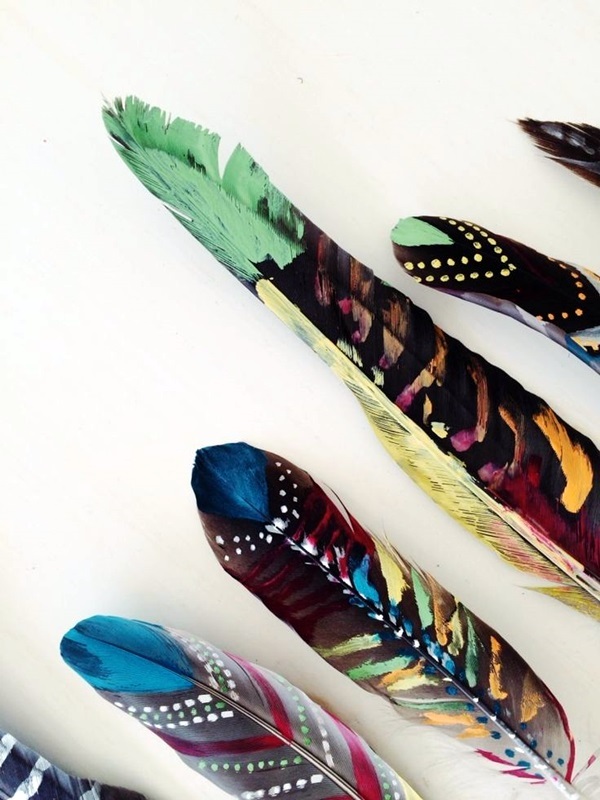 Since painting feathers includes painting and some of Mother Nature’s bounty, in the form of feathers it can be considered one of the crafts for children – some ideas to keep them busy during the holidays. 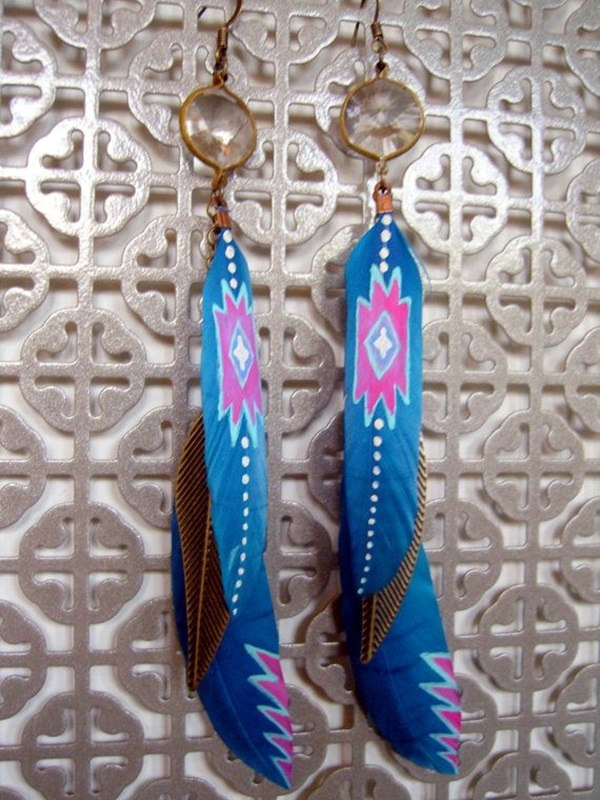 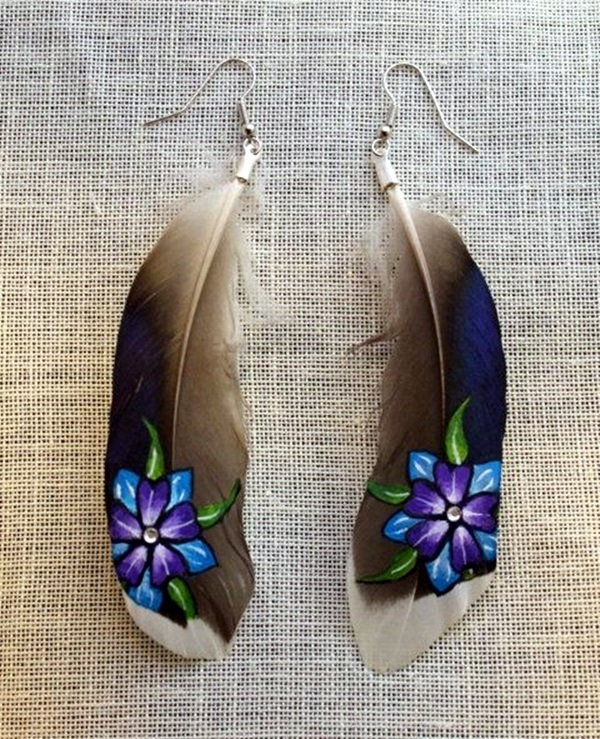 Painted feathers could also feature among the delightful handmade jewelry ideas to try. 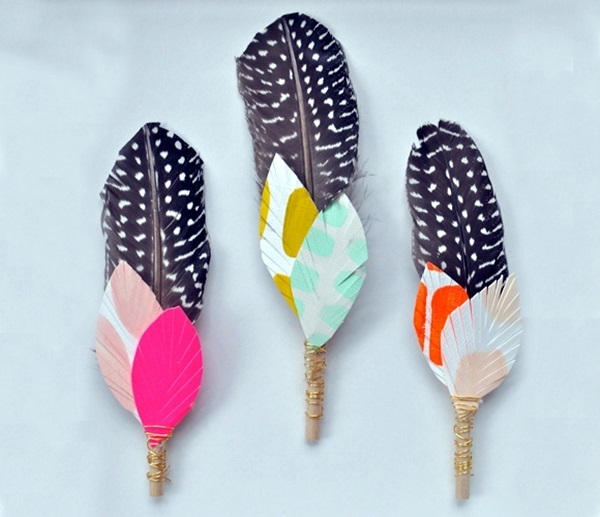 Painting feathers is something that seems so retro because it is something that reeks of the hippie culture. 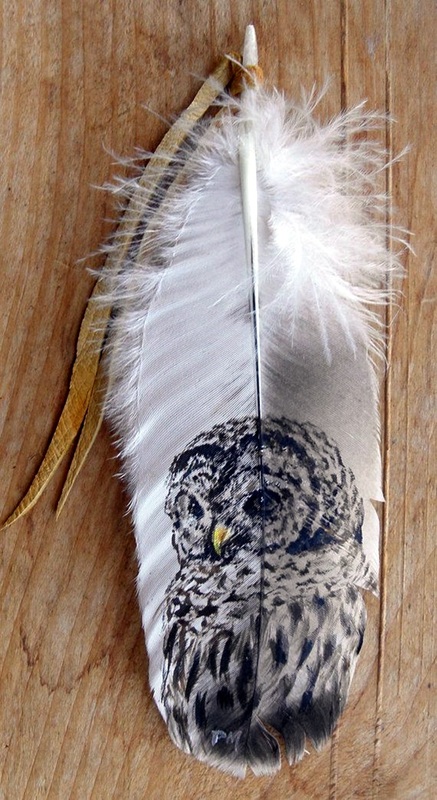 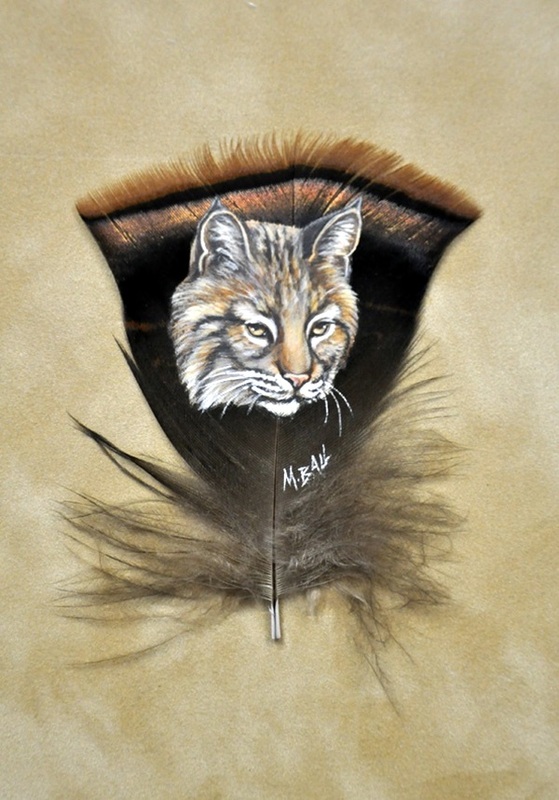 And you have to admit that there is a certain bohemian or Native Indian vibe to painting feathers. 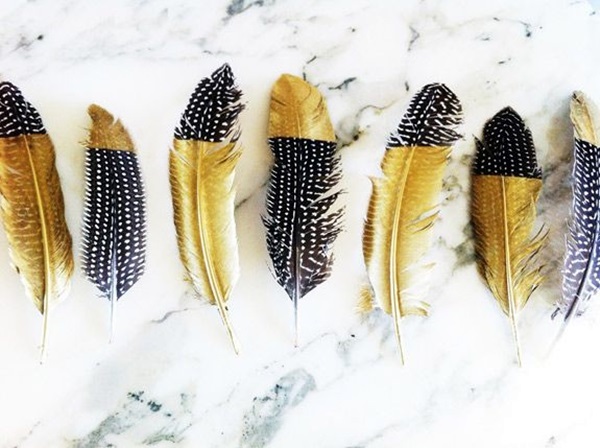 First of all, feathers themselves are fascinating to look at and handle. 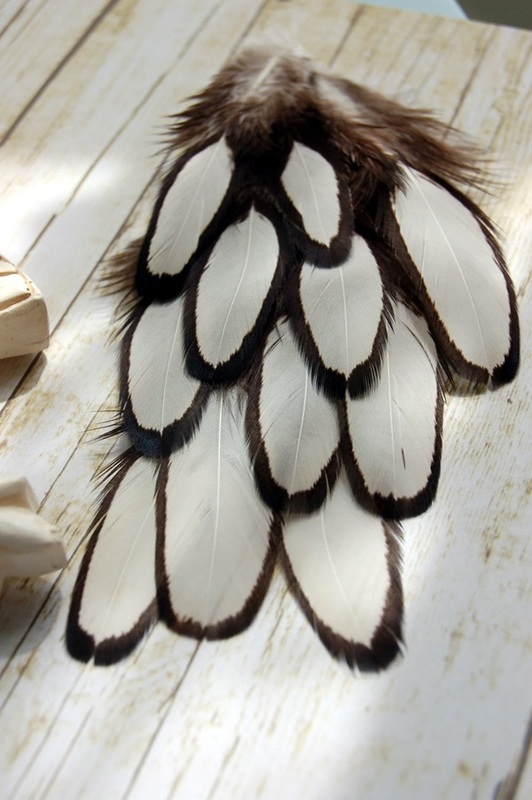 There is something almost plastic-like about them that will wonder at how Mother Nature even conceived of making something like this to ensure light but warm covering for birds enabling them to fly. 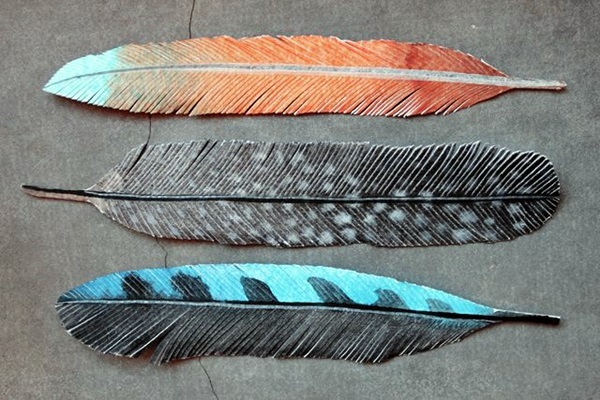 What is more, consider the colors and color combinations that feathers can come in – it is indeed wondrous. 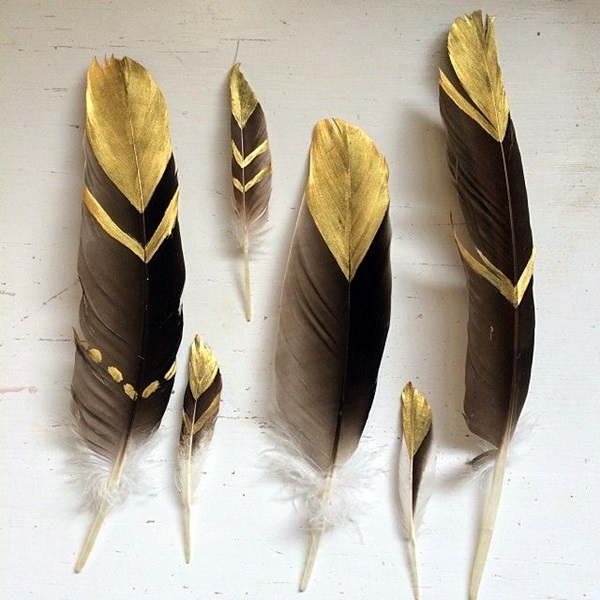 If you are considering painting feathers, do consider the proper way to do this because feathers by their very nature are very delicate. 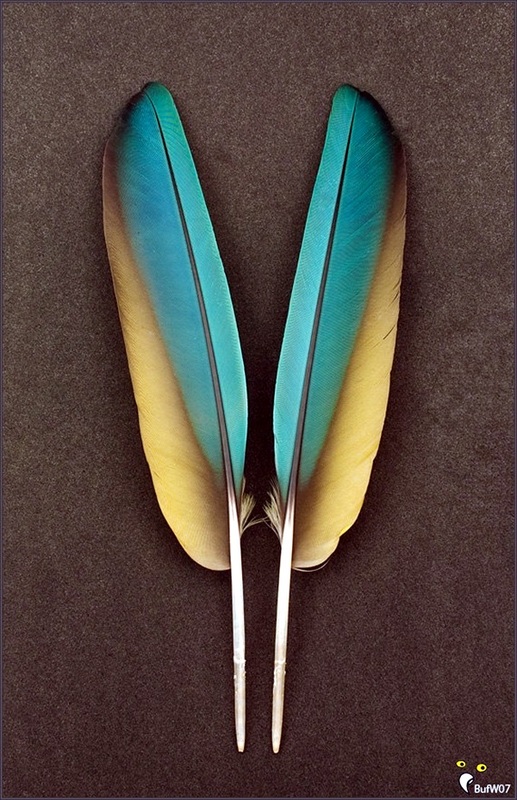 They have a stem that is almost plastic-like, which in most cases is hollow. 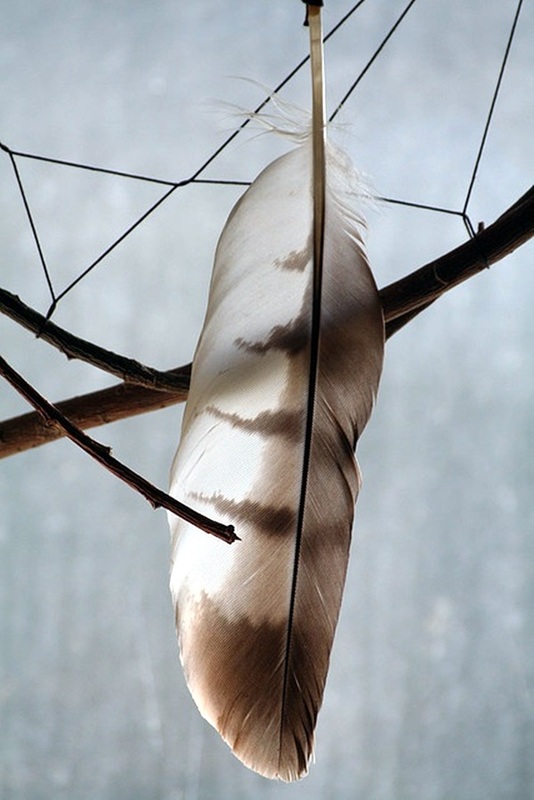 Then the fronds on the sides that spout from the stem of the feather to form the feather. 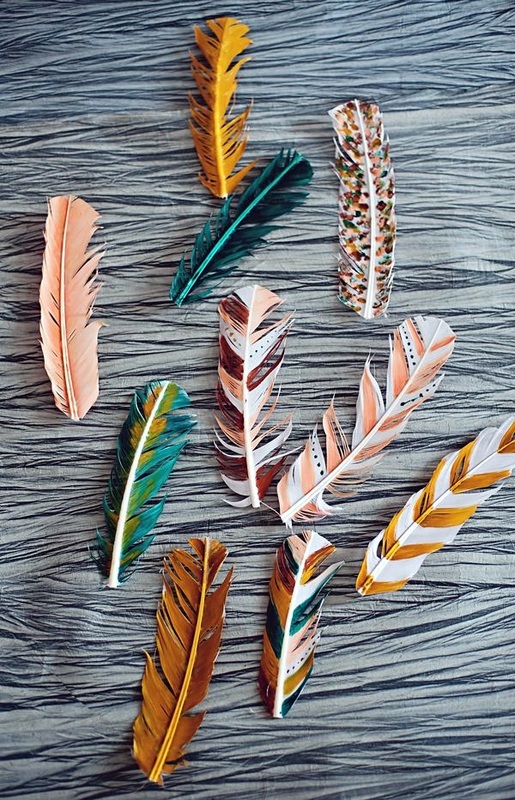 The fronds of the feather can be in many colors and fan out to form a distinct pattern and shape. 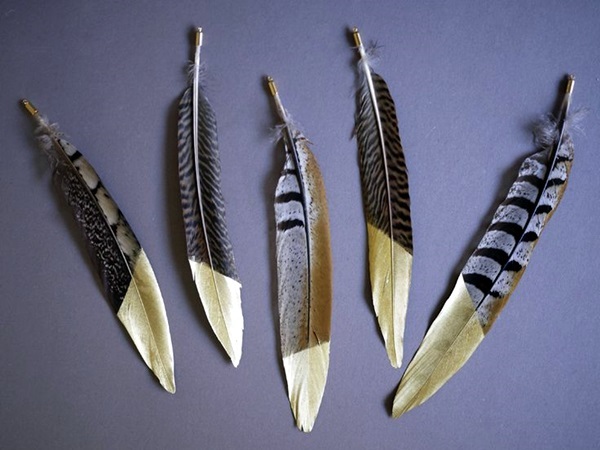 When you look at the feathers of a bird, then you know that the feather in the raw form is by itself is a work of art that you have to treat with care when you are painting. 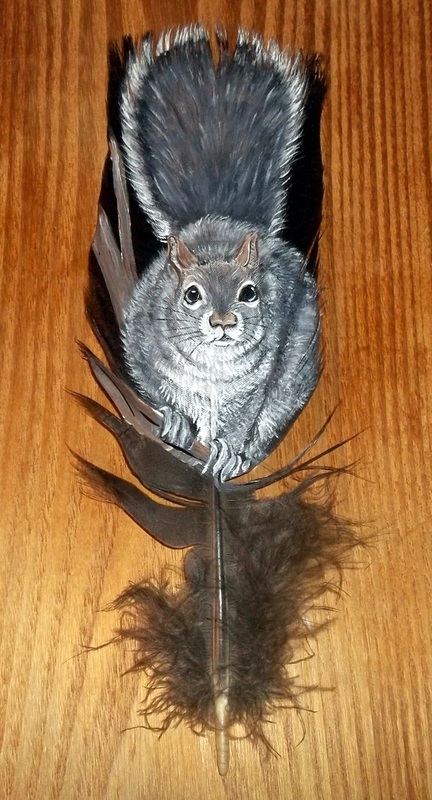 The best part of having a hobby of painting feathers is that very less is more. 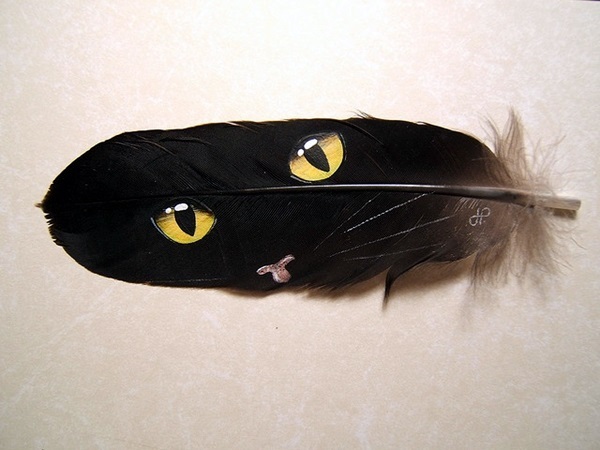 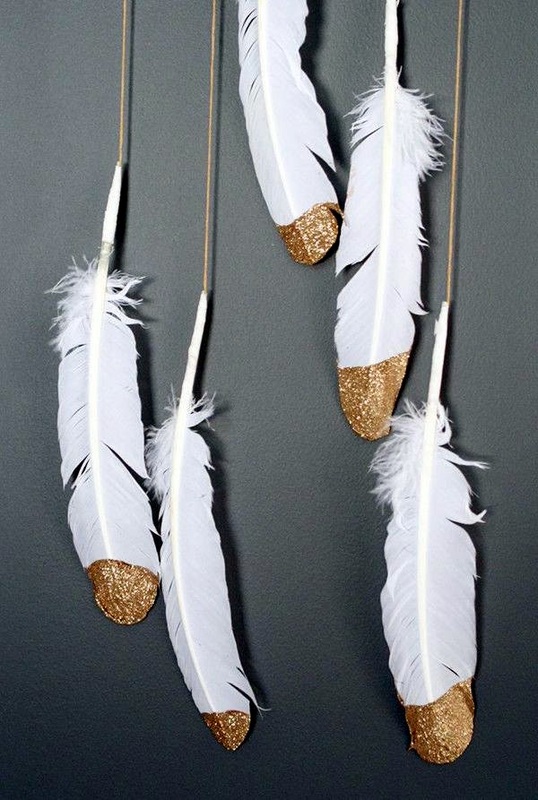 You need not do too much to embellish the look of a feather. 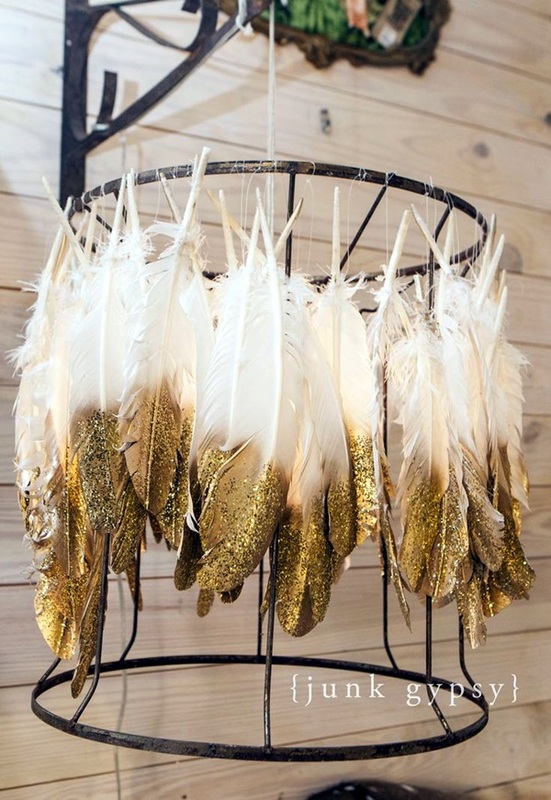 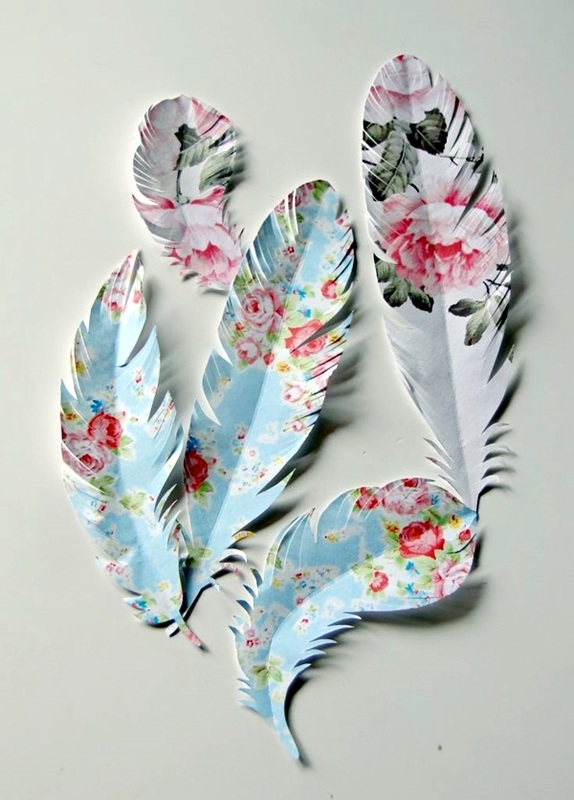 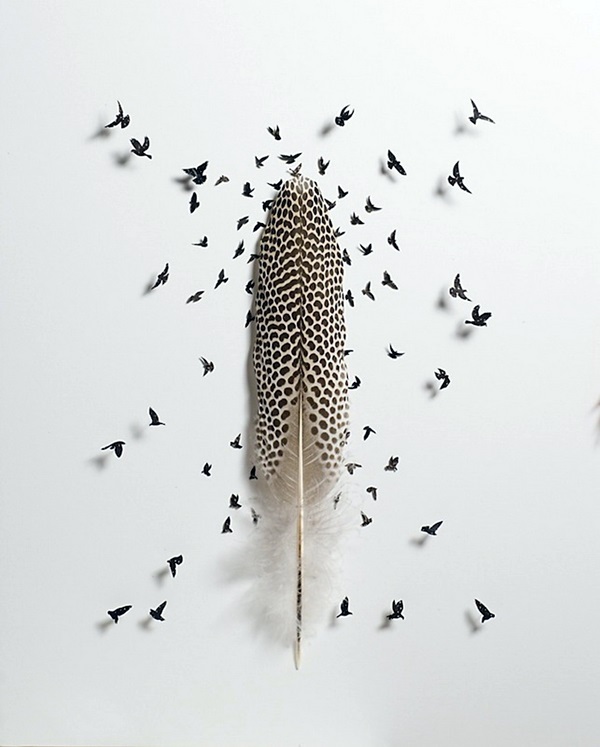 Just visualize making a bouquet of white feathers, whose tips have been dipped into silver or gold paint. 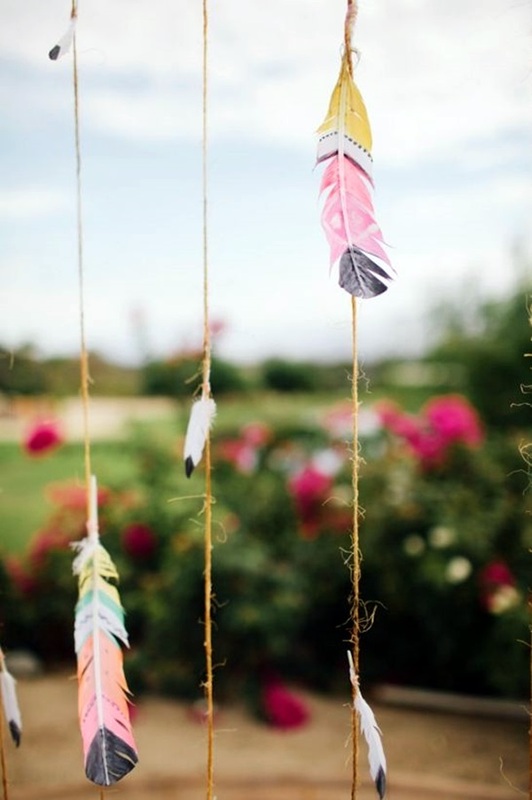 Doing this simple thing can take an already pretty feather and make it even lovelier. 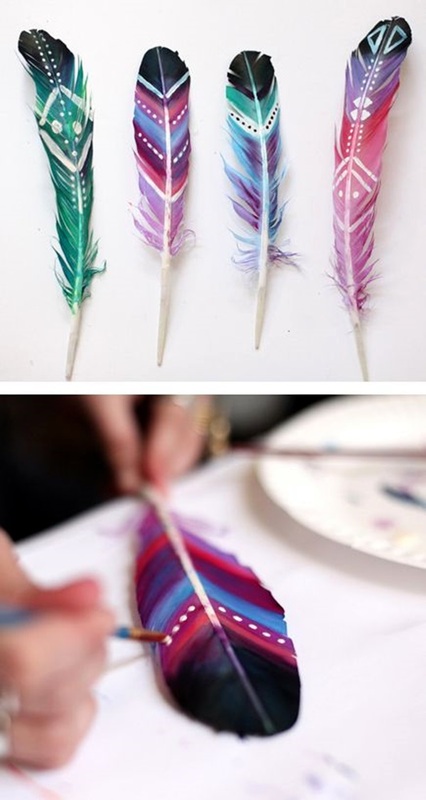 In some instances, all you need to do is add a row of colored dots on the feather to make it even more beautiful. 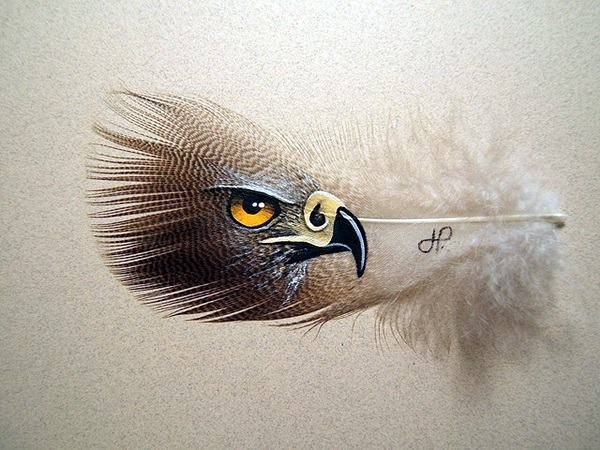 The art of painting on feathers is something that is pretty delicate given that the feather itself is such a delicate thing. 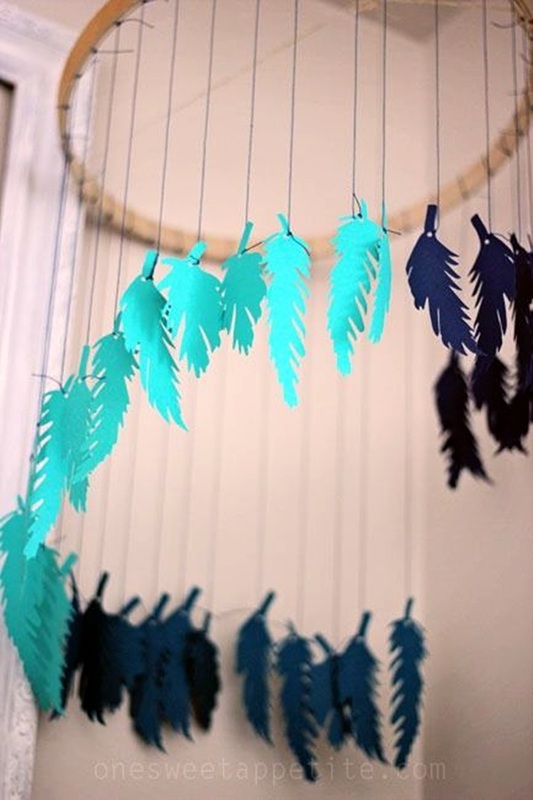 Then adding paint on it while a good idea can require you to have a light touch. 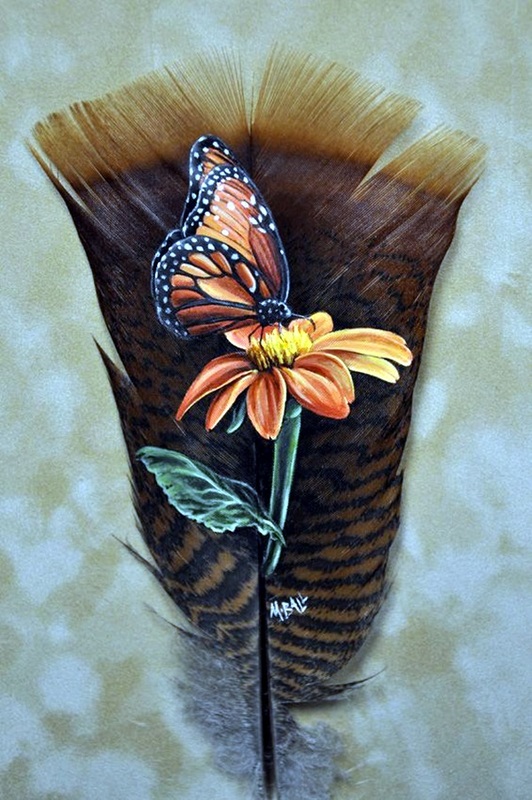 It means that you have to spend some time on researching the kind of paints that will work on the delicate surface of the feather without spoiling it and also ensuring that the painting you do is long lasting. 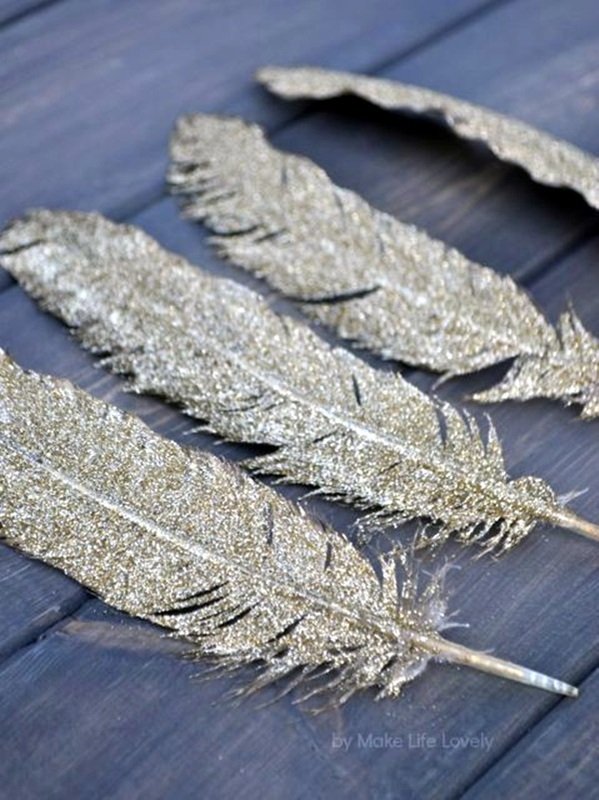 The thing is, when it comes to the use of feathers, there are many uses that come to mind like making earrings out of them or using them to create a stole or on making hair accessories to name just a few. 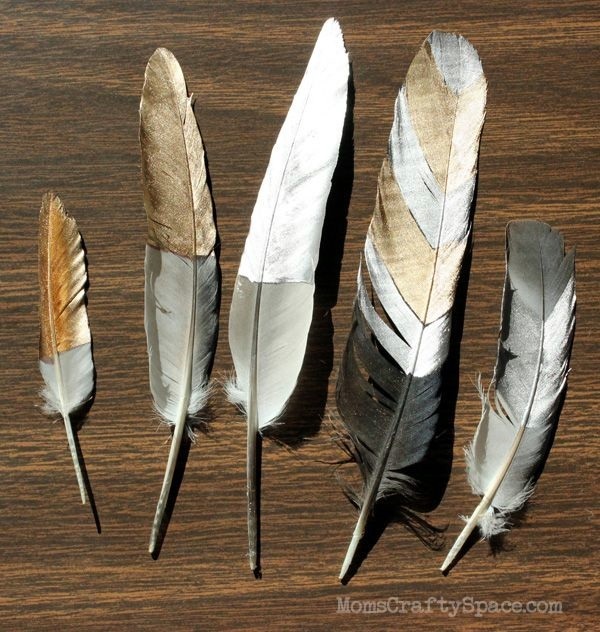 However, the thing to remember is that feathers are light and delicate and they should not be overworked.